There has been much talk lately of the need to address elements of maths and science into the new D&T syllabus. But I wonder why we have to try so hard when they have always been there? A recent trip to Barcelona and the various Gaudi landmarks reminded me of the distinctive look that Gaudi had and just how much of it inspires D&T projects. However, this is often on a visual level; bright coloured mosaics, flowing lines, lizards and spires etc. What amazed me is the level of maths and science involved in designing something as impressive as the Sagrada Família. I won't go into detail here but try a little research into the complexity of the shapes and structures rather than just his visual style and you might be pleasantly surprised and impressed. I have always believed that an understanding of materials, their optical and physical properties and how they behave under stress is a vital part of the design process and in many ways this sort of technical knowledge underpins the scientific studies in subjects such as chemistry, biology and physics. Equally, working with construction elements requires a great deal of maths, from working out how much material is used to how many elements will fit in a certain space, it is vital to have these maths skills or at worst the ICT skills necessary to get software to work it all out! So, if we accept that maths and science have always been important elements of design and technology, the question is how to build on and reinforce those elements in your teaching and project work. If you can simply extend the technical aspects of your teaching, you should be able to incorporate more maths and science without it feeling laboured. If you look at the links to maths in several new specifications they list things that we always did in the subject before computers (and over helpful technicians) such as working out material costs, nesting shapes to maximise yield and reduce machining, working out material areas and cost etc. 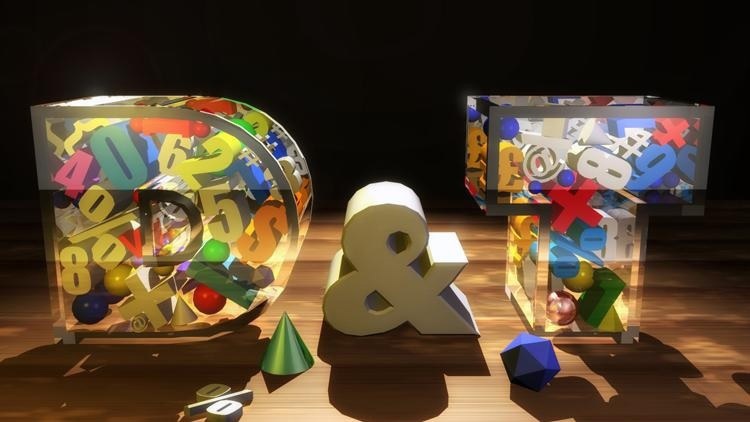 For younger pupils, ask them to work out simple maths and sums relating to materials. Instead of supplying them with pre cut material give larger pieces to small groups to divide up and separate. Every material has mass, cost and other factors relating to maths. Costings should be introduced as early as possible not only to meet the requirements of the syllabus but hopefully to reduce waste and save precious budgets. Make the mundane a little more challenging on basic machining tasks: If the band saw has 12 teeth per inch and it is 48 inches long, how many teeth does it have? Convert that info into millimetres. How does it affect how the different blades cut materials? It can be a 2 minute exercise during a practical which can later be reinforced in written tests. If paint covers a certain area, how many projects/coats before it runs out and at what financial cost to the project? Is there a cheaper or more effective alternative perhaps one more environmentally friendly? For science, look at the relative mass of objects in order to remake a project to be lighter or stronger. Consider physical factors of stress, durability etc. in deciding between materials to use. For older pupils who use CAM a lot, try opening a program file and look at the code. They think that the circle or square they draw on the screen is simply cut out but CAM uses computer numerical control which tells the cutting head where to go in 3 or 5 axis, what speed to rotate etc. The maths behind this is phenomenal and, though it may bore many to death, understanding what the machine does with the code generated is an important part of the process especially if they have to dig into the code in the future to fix errors etc. Such advice can sound terribly patronising and I am sure that most teachers of the subject will already cover a great deal and will simply check that they are hitting all the main targets, but that's the whole point. D&T already relies on a knowledge of maths, science, ICT and many other subjects areas. It is, to my mind, one of the most demanding of subjects to deliver comprehensively and effectively with successful results and that is down to the diversity of material that has to be covered. So, sit down with a coffee and look at your scheme of work. Look at the suggested list of maths and science to be covered then identify where you could extend a particular activity by just a few minutes each day to incorporate the elements in a little more detail than you might already. Tick them off the list until you feel you have covered them all. There are plenty of more demanding tasks floating around forums and social media and these are great but introduce aspects so casually and informally that students hardly know you are doing it!! I know I have been guilty in the past of simply expecting a Year 7 student would know how to use a ruler or convert cm to mm and getting quite vexed when they can't draw a straight line between two points but I see this new specification as an opportunity to address such presumptions while taking a little more time to address those two aspects of the subject; maths and science, that we can often take for granted when teaching D&T. Paul has taught Design and Technology for 24 years in a range of schools as a subject head and leader of a creative arts faculty. He continues to work as a freelance designer, examiner, moderator and D&T consultant. Having taken a break from teaching to work as a head of design in a manufacturing industry, he will shortly be returning to education to once again lead a Creative Arts faculty.